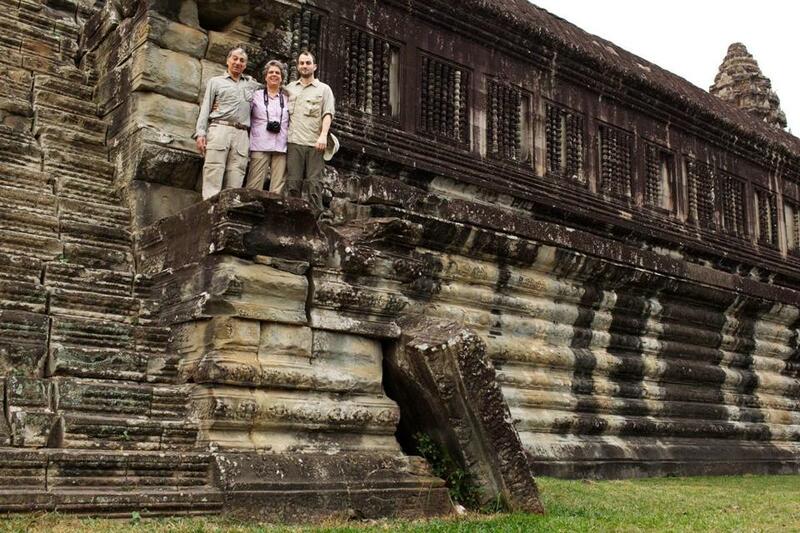 Richard and Susan Juskalian and their son, Russ, at the Angkor Wat temple complex in Cambodia. Worry. Apprehension. Anxiety. These were not what I thought I would be feeling. And yet, as I headed to the airport to meet my parents for our first long trip together in nearly a decade, a troubling thought dogged me: What if this was a bad idea? For the past eight years, I had made a vigorous case to my parents that they needed to visit Southeast Asia. But what if they hated it? What if they got sick? What if we weren’t talking to one another when we got home? I realize I am not the first person to be racked by such questions. After all, 76 million people were born during the baby boom, and with their children finally navigating the waters of adulthood, the way these two generations travel together is set for a dramatic change. In our case, this was the first time that I would be the one who did most of the research, planned the itinerary, and chose our mode of travel. 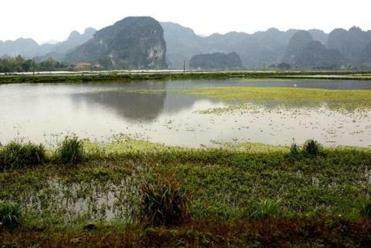 For three weeks, we would visit Thailand, Cambodia, and Vietnam - a big trip by almost any measure. My mother, Susan, likes to make the travel decisions. And my father, Richard, who would rather spend hours looking for a bulb for his penlight than touch a guidebook, has faith that his wife - like him, a retired teacher - but perhaps not his son, would not lead him through travelers’ purgatory. This played out well on our first night. I chose an unassuming Bangkok guesthouse - set amid a labyrinthine network of alleys that might feel unsettling to a first-time traveler in Southeast Asia - for its no-frills, yet relaxing, appeal. “I never would have stayed here without you,’’ my mother said the next morning, as we walked through the local alleys looking for a snack. “But I love it. I love all the people out on the street doing their thing.’’ She and my father were also fond of the welcoming atmosphere, charming elderly owner, and relative calm in an otherwise frenetic and buzzing city. This bode well for the next few weeks. I was surprised by how much they enjoyed Cambodia, the least developed of the countries we visited. After Bangkok, the long overland journey to Siem Reap was like being transported back in time. “What are those things,’’ my father asked, studying a hacked-together vehicle common in rural Cambodia. Composed of an oversized walking-tractor connected by a narrow platform to a pair of orphaned wheels, they are built to serve as transportation and mechanical replacement for ox and cart. I enjoy the frugal backpacker mode in Southeast Asia - in part because I’m anchored by my first, college-age visit to the region. My parents, however, tend to stay at nicer B&Bs. Compromise is what kept us happy. Visiting the Angkor Archaeological Park required finding middle ground. On my last trip to the area, my girlfriend and I had wandered about until we found a clean, if a bit soulless, guesthouse for $6 a night. Then we jammed three days of exploring into a dawn-to-dusk marathon in an auto-rickshaw called a tuk-tuk. This time, my mom lobbied for MotherHome Guesthouse, which she had read about on TripAdvisor.com. Before I saw it, I grumbled that we could find something for half the price; after staying there, I concede that MotherHome Guesthouse might be the best value, at around $20 a night, Siem Reap has to offer. Spotlessly clean rooms, warm staff, and fresh, herb-infused cold towels every time one comes back from even the shortest walk - I know where I’ll be staying on my next trip. Instead of trying to see every temple in the archeological complex, we spent half of the first day exploring the ruins, and half resting. The next day we visited the village of Kompong Phluk, built on 20-foot stilts over the waters of Tonlé Sap Lake. Combining air and overland travel was a particular boon. We flew so that my parents could visit Hanoi, about 500 miles from anywhere else we traveled. Consequently, flying one leg of the trip freed up time for taking an overnight train for another leg of the trip - the 12-plus-hour ride from Bangkok to Chiang Mai, in northern Thailand. Riding the train was interesting, exciting, and even relaxing. The massive terminal at Hua Lamphong Railway Station, in Bangkok, is a people-watcher’s dream. There are groups of monks sitting in specially designated areas, weary Thai families getting ready to travel across the country, and hapless Western backpackers concerned that the station’s paid staff (who are friendly, helpful, and speak great English) might be trying to scam them. With diesel trains chugging, food stands wafting delicious smells skyward, and sellers hocking wares - you get the feeling of one of Monet’s 1877 paintings of a Paris train station mashed up with New York’s Grand Central Terminal, and sprinkled with Thai chilis, basil, and lemongrass. For how smoothly my parents and I managed to visit this very different part of the world, I would be remiss to draw an impression of perfect harmony. There were moments when we snapped at one other, most often when one of us wanted to keep pushing ahead while the others wanted to rest or do something different. 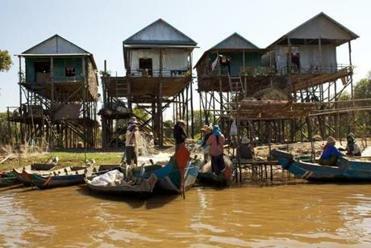 The village of Kompong Phluk is built on 20-foot stilts over the waters of Tonlé Sap Lake. These conflicts, we learned, were best averted by carving out enough time to occasionally branch off individually. The night after the overnight train ride, my parents stayed in after dinner while I went out with some people I had met on the train. And while my parents volunteered for a few days at the Elephant Nature Park, I explored a rural area near the Thai-Myanmar border. By the end of the adventure, we had found a certain balance. My mother had done enough advance research to know she wanted to visit this pottery shop, or that temple. And when my mother and I were beat after a day of running around, my father found time to explore the more quotidian aspects of Thai life, say, through his never-ending quest for that missing penlight bulb. I learned that family trips don’t have to end at college, parents (sometimes) deserve more credit than we give them, and that the camaraderie of traveling is blind to one’s generation. On our last night in Hanoi, my parents and I went out to dinner with a group of people, all under 30, we had met over the previous couple days. As we talked the traveler’s talk, ranging from the news of the day, to cautionary tales, to exaggerated yarns, it struck me that this tipsy night out with my traveling peers - parents in tow - could easily have been awkward or embarrassing. Instead, it felt normal. A quiet, frugal place not far from the Chao Praya River, and close enough to the spectacle of Khao San Road to walk there but far enough away to get a good night’s sleep. Rooms from $22, including Wi-Fi and breakfast. Don’t be fooled by the name: Neither the roof nor the view is particularly interesting. Stylish, centrally located, and eminently comfortable, decked out in dark hard woods, modern furniture in traditional Thai styles, and a bright, higher-end boutique lodge feel. Rooms from $55. In a quiet part of town, away from the big hotels and closer to everyday life, a great value. Super clean rooms, friendly staff, cable TV. Rooms from $15, including bicycles for day use, breakfast, Wi-Fi, airport or bus station pickup, coffee and tea all day, bottled water for day trips. Russ Juskalian can be reached at rjuskalian@gmail.com.